This new volume has been significantly updated since the 1980 original, covering the full span of George Harrison's life and work--exploring his upbringing in Liverpool, the growth of Beatlemania, his love of India, gardening, and racing cars. It also presents 141 of his songs, with lyrics handwritten and reproduced in facsimile, accompanied by his commentary. This new edition also includes more than 50 additional lyrics written for the Beatles and Harrison's solo albums, and written contributions from Olivia Harrison and Derek Taylor. Cherished by fans and collectors, I Me Mine is the closest we will ever come to George Harrison's autobiography. This new edition has been significantly developed since the 1980 original; now printed in colour, and with previously unseen archive material, the book covers the full span of George Harrison's life and work. Featuring George Harrison in conversation with Derek Taylor, I Me Mine delves into everything from Harrison's upbringing in Liverpool and the growth of early Beatlemania, to his love of India, gardening and racing cars. With over fifty archival photos, Harrison's words, and his song lyrics, this book offers an insight into the musician's life, work and philosophy. I Me Mine - The Extended Edition presents the lyrics to 141 George Harrison songs, with handwritten lyrics beautifully reproduced in facsimile, accompanied by Harrison's uniquely intimate and humorous commentary. This edition has been expanded to include 59 new songs; as well as tracks written for The Beatles, it also contains lyrics from Harrison's solo career, including his albums All Things Must Pass and Brainwashed. I Me Mine - The Extended Edition presents for the first time a complete compendium of Harrison's musical career and his writing. 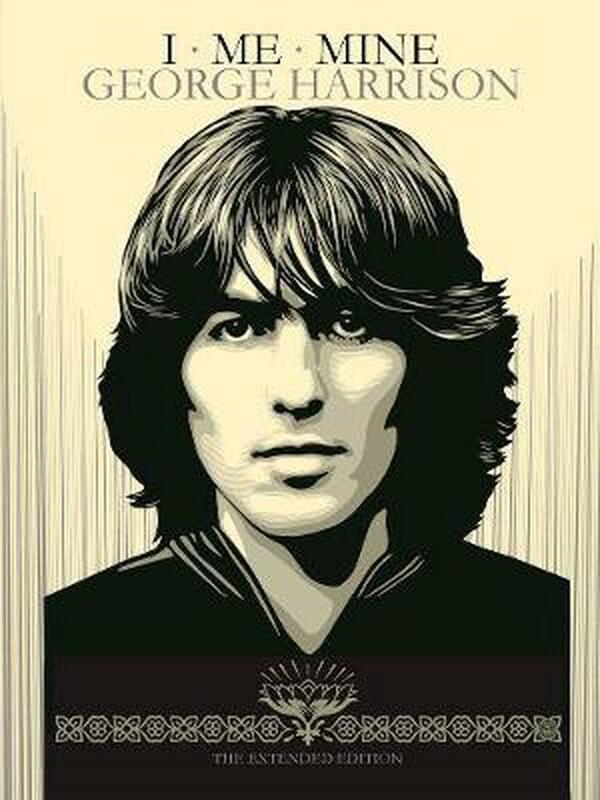 With written contributions from Olivia Harrison and Derek Taylor, original cover art by Shepard Fairey, and a wealth of previously unpublished material, the new edition of I Me Mine is a treasured portrait of George Harrison and his music. George Harrison (1943-2001) joined the band that would become The Beatles in 1958, when he was just 14. His richly varied solo career as both musician and producer began with the acclaimed album All Things Must Pass and included the landmark Concert for Bangladesh, considered the first fund-raising rock show, as well as collaborations with musicians such as Ravi Shankar and The Traveling Wilburys. He is also remembered as the producer of such films as Monty Python's Life of Brian and Mona Lisa. George Harrison married Olivia Arias in 1978 and together they have a son, Dhani.